The Svir River was always famous for the steepest rapids. It was impossible to pass the river by boat, so the locals had to carry their boats on their shoulders. The village derives its name from the Veps word Mandrogi, which means "river rapids".The pagan Veps people, actually, were the first inhabitants of these places. The famous trade route "from the Vikings to the Greeks” passed through Svir. Ship building for the Russian navy was a very important activity for the free people of Mandrogi during Peter the Great's reign. 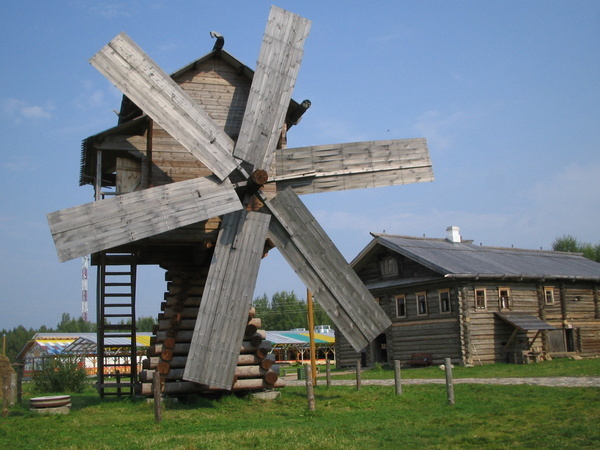 Mandrogi - is a stylized Russian village with intricately decorated, brand new houses, since all of the authentic buildings were destroyed during the Second World War. You will find souvenir shops, bars, steam-baths (banyas) and other attractions there.